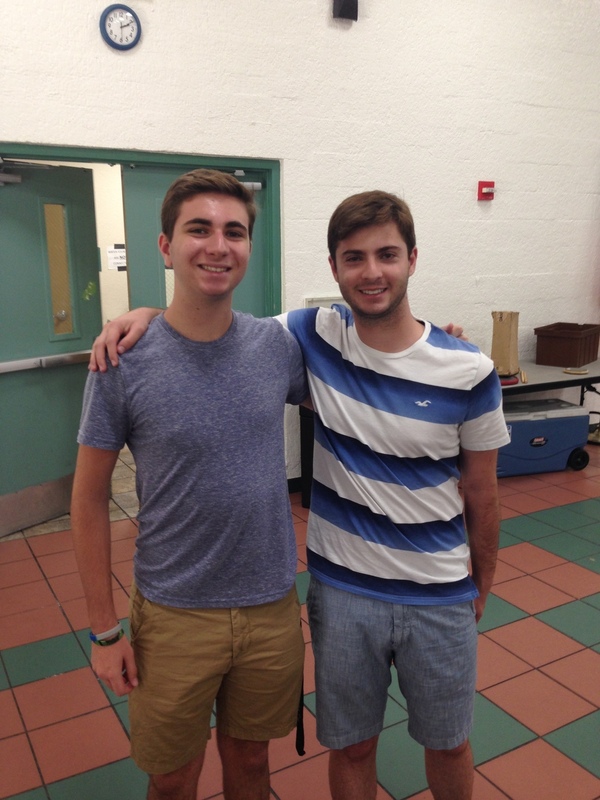 For four years now, former Cypress Bay HS student Jared Michelson and Grant Rittenberg have created and ran their own percussion program called Drum Miami. Thier goal was simple, to improve the lives of other students through the art of drumming. Since 2013, they have put together a team of students to volunteer at summer camps and help underprivileged students learn how to drum. Jared began this idea when he wanted to share his passion for drumming with other students that never had the opportunity he had growing up. He contacted the County Parks and Recreation Department to offer his services. He later found out that the Park and Recs Dept. never offered such a service, and this would be the first experience for many students to learn how to drum and play music. He was very excited about the opportunity, and invited his schoolmates to volunteer with him. Now, what started off with just teaching one summer camp location, has grown to teaching over 60 students at three summer camp locations. SP2 member, Alex Ramos, working with the students. When STRYKE learned about Drum Miami, we wanted to help out in anyway possible. 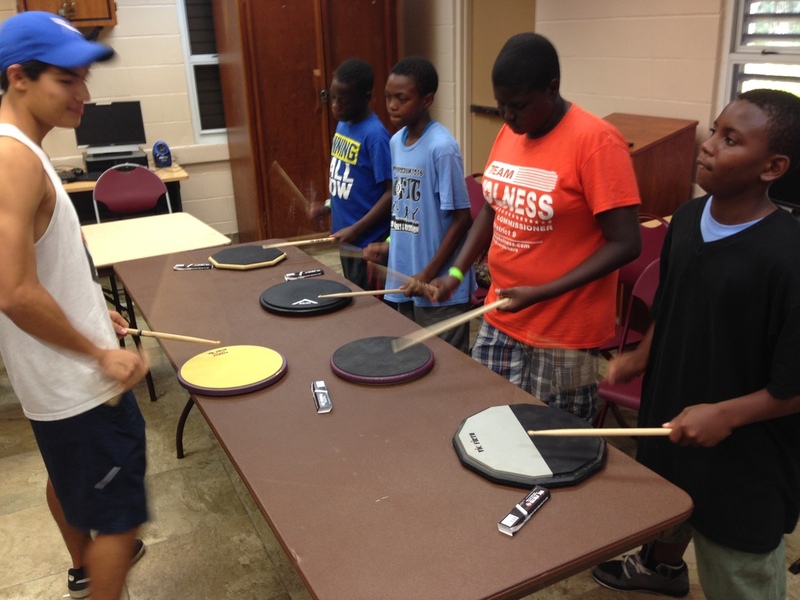 Since Drum Miami is a volunteer program with no budget to work with, we assisted them in getting drumsticks and practice pads for the students to work with at camps. We also had SP2 member, Alex Ramos, volunteer at the parks. This is an inspiring service powered by students for students. STRYKE looks forward to continue to work with Drum Miami in future Summer Camps in hopes to help them expand their services in the community. 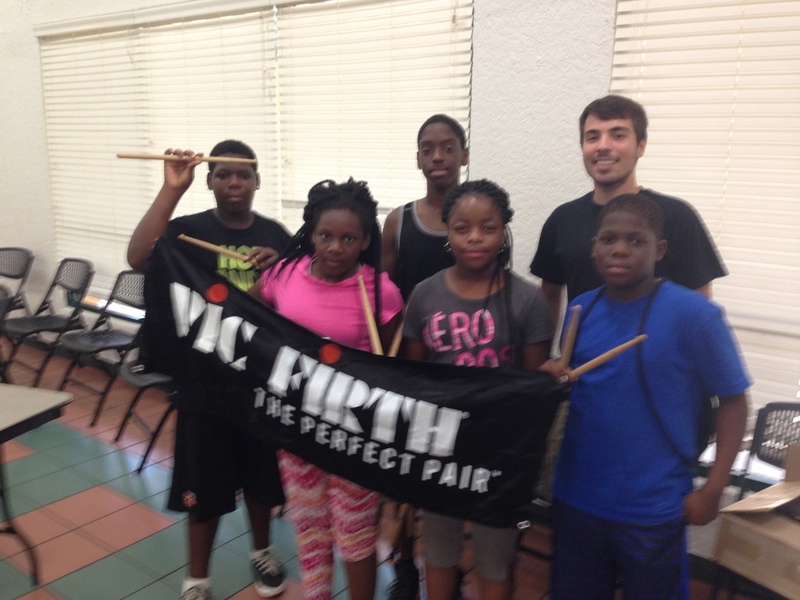 We would like to thank Vic Firth Inc. in their assistance and contribution for the camps. It wouldn't be possible without Vic.